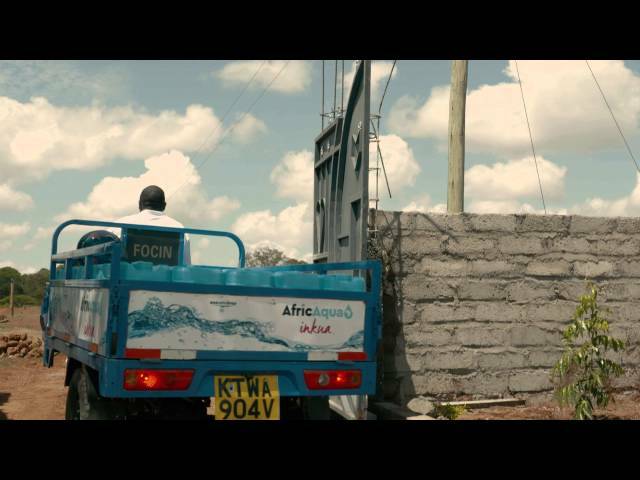 As the world gears up for World Water Day later this month, thousands of Kenyans in Kajiado County are set to benefit from safe water access through an innovative new social enterprise platform. The initiative aims to bring efficiency and technological innovation for sustainable supply of water through the combining the resources of three critical stakeholders: the private sector, NGOs and government. For months, engineers from Coca-Cola’s EKOCENTER team have been working behind the scenes with AfriAqua, a local social enterprise, to help set up the new project, which will deliver at least 20,000 liters of safe drinking water a day to locals in Oloitoktok. “We drilled and equipped a high-yielding borehole with reverse osmosis treatment equipment through a social venture in a modern facility. We then adopted a two-tier distribution approach - direct store delivery and the micro-distribution centres (MDCs) using TukTuks to ferry branded returnable 20 litre containers retailing for Sh50,” David Kuria, AfricAqua CEO, said at the launch event on the outskirts of Kimana, a dusty outpost with a panoramic view of Tanzania’s majestic Mt. Kilimanjaro. This is one of the projects Coca-Cola is testing as part of its EKOCENTER initiative. The newly inaugurated water shop will begin delivering water to area EKOCENTERs this summer. “We believe in the social enterprise model because everyone benefits. Our business benefits, the government benefits and the community benefits by having access to new services and by time saved by not having to look for safe drinking water. This will enable people – especially women and children – to pursue economic, educational and other opportunities,” said Norah Odwesso, Coca-Cola public affairs and communications director, Central East & West Africa. The solar-powered water shop, equipped with a customized Pentair water purification system, can deliver 20,000 liters of clean drinking water per day. “Utilizing a combination of Pentair’s water purification technologies… the system is extremely effective at eliminating or substantially reducing a wide variety of contaminants. As a result, the drinking water delivered by the Pentair system exceeds World Health Organization (WHO) water quality standards,” said Salvatore Di Festa, a field engineer with Pentair. Globally, one in 10 people (more than 663 million) lack access to safe water. In Kenya, more than 17 million people lack access to safe water and more than 32 million lack access to adequate sanitation. Kenya is classified as a water-scarce country with an annual renewable freshwater supply rate of 647 cubic meters per capita, way below the global standards of 1000 cubic meters. With increased population growth, it is estimated that the country’s per capita water availability will be 235 cubic meters per year by 2025 – nearly two-thirds less than current levels.